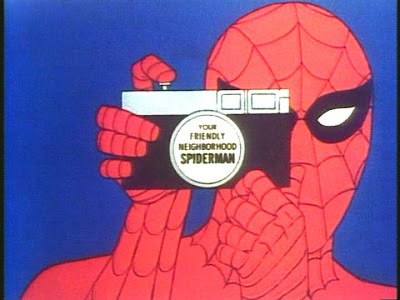 Classic Television Showbiz: Spiderman (1967-70) The Original Background Music! For an absolutely blistering jazz blowout of the Spider-Man theme song, check out Charles Mingus rocking "Boogie Stop Shuffle" on the album "Mingus Ah Um," and then reflect that "Boogie Stop" PREDATES the theme and was actually swiped whole for the TV show! I just heard a sample of the Mingus track on Amazon, and while his piece and the Spider-Man theme certainly share a similar bass line, I honestly don't believe Mingus's work was "swiped whole" for the theme. This is so great! Thanks for the research! I was looking for these tunes online for a while - finally found your podcast - Thanks. Any chance on finding some of the first season big band tunes? I've always loved Spiderman background music from season 2 and 3. A lot of this music was used in NFL Films in the late 60's and early 70's. Great stuff! this is why I love the internet. the Album is out there somewhere? But where? anyone know? it is not out yet. coming in 2010 - an official release. i will make an announcement. Hello. Came across your site while downloading Spiderman ringtones in Mp3. 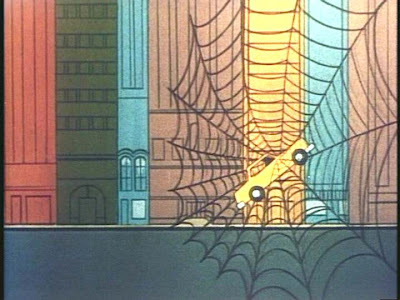 I really enjoyed the early Spiderman cartoons and thought that it was ahead of its time but the BGM from this cartoon series always intrigued me. It set the tone for Spidey's adventures and apparently they are quite memorable. I'd like to find the cartoon series on DVD. I feel pretty sure it's available somewhere. Yes, the whole series is on DVD. Cheaper on Ebay, i think, than on Amazon. Easily accessible in Canada - less so in America. Did the music ever get released? 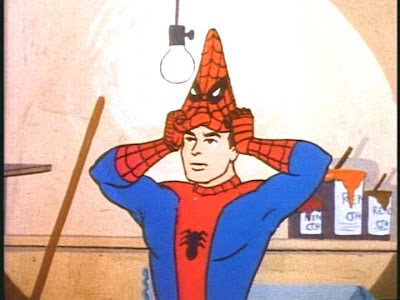 Dude, I just started watching the Spiderman '67 collection on Netflix and I came out looking for exactly what you did. This is awesome. Has that official CD release happened? 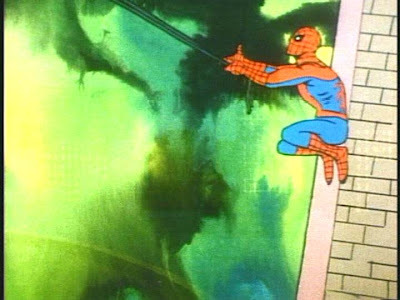 One of the KPM pieces heard on Spider-Man, "Power Drive" by Johnny Pearson, was famous in quite a few places - in Australia, as the theme of the cop series Division 4 which ran from 1969 to 1975; and in Los Angeles, on KNXT (now KCBS-TV) Channel 2, as the theme to two famous movie showcases, The Fabulous 52 (from the late 1960's up to its demise in 1974) and The Early Show (as seen well into the 1980's). Man! I sure would love to have copies of the original Spiderman's background music; grewup on, while a toddler! I love it; was an influence on me to playing the classical jazz tenor saxophone!